Betty Day Community Centre St Kilda : Guest Performer and entertainer since 2015. Hampton Senior Citizens Club : Guest Performer and entertainer; since 2014. Film Gangster Dreaming : Actress role: Community Centre Coordinator. RMITV workshops : Writing the Pilot. Australian and New Zealand College of Psychiatrists (RANZCP) : Actress role: Simulated Patient since 2015. RMITV workshops : Producing MasterClass with Mark Ruso (Ruby Entertainment). Australian Conservation Foundation Incorporated (ACF) : Facebook Video for a Charity and website; Actress role. Foxtel Aurora and Ch. 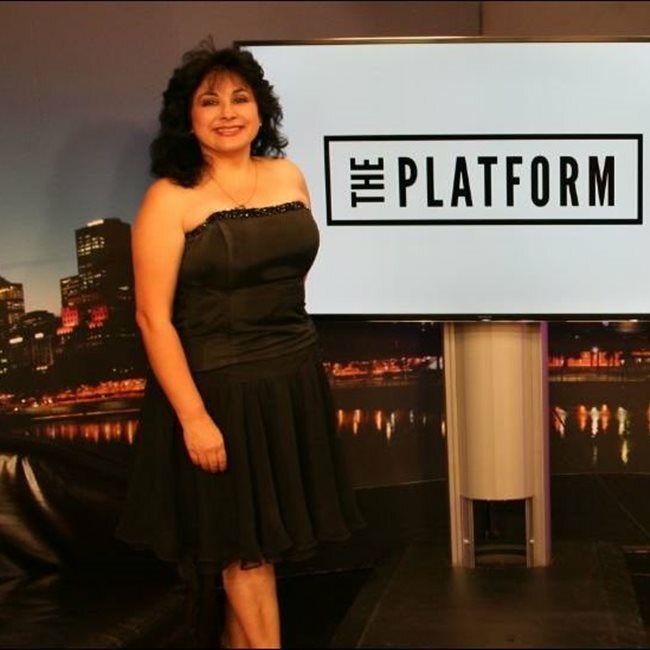 31 "The Platform TV Show" Second season : Assistant Production Manager. Online "Video Art ice cream!' : Actress role. RMITV Training Production : “TV Studio Intensive” by Luke Raisbeck. TV Show Ch. 31 “The Leak” : Assistant Production Manager and Camera Assistant. Online video promotion "Misery" : Actress role: Bank Teller. Channel 31 digital 44 " Quiz Night Show TV" : Assistant Production Manager and Still Photographer . Australia Medical Council : Role Player (Simulator patients) Since 2009. Short Film "The Guilty" : Actress role: The Mother. Foxtel Aurora and Ch. 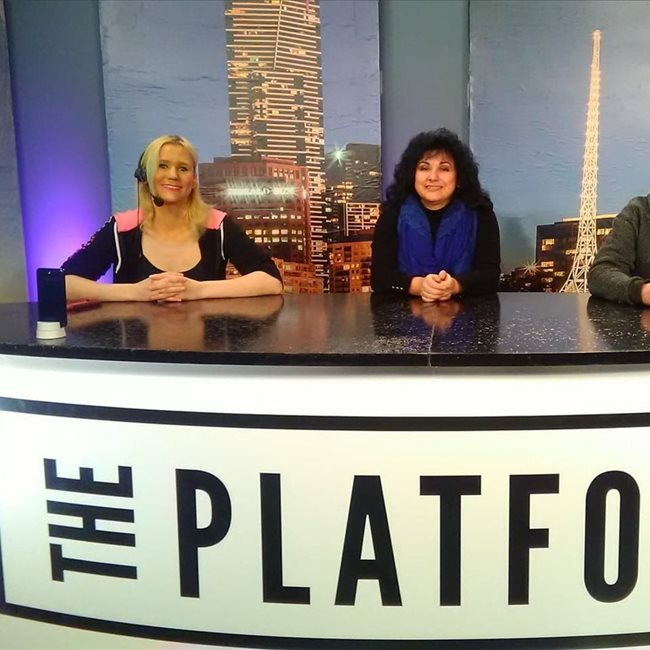 31 "The Platform TV Show" : Production Assistant. Short Film "Five O'clock" : A. Director,Continuity, Art Department ( costumes, props) and Unit manager. Short Film " Arranged" : Role: Production Assistant. RMIT, Workshop : Introduction to Production. VCA Film “Narcissus” : Actress role: dying daughter. Film "Tito" : Role, Production Assistant, costumes and Props. Enamoured Iris PTY LTD, beyond the valley's artist campaign : Role, The Mother. PBS 106.7 FM Broadcasting Training : The Collaborative Project, Storytelling. TV Channel 31 "She Shot" series 1; Thiurban Media Productions : Production Assistant and Presenter Assistant. TV Channel 31 " Teen Talk " Production : Production Assistant. Short Film "Under the Bed" : Production Assistant / Clapper loader, Boom Operator. Film "Shanghaied Songbird" : Art department Lead. Purwin Productions. : Teresa Barragan at Christmas 2016 Documentary. TVC Film Victoria & The Royals “ Under the sea”, 2016 : Extra. City of Stonnington Council : Granted Concert performer at Christmas Party. TV Channel 31 "Antena Hispana" Entre Todos : Interview. Betty Day Community Centre St Kilda : Guest Performer. Glen Eira Town Hall : Evening Gala Concert: Singing Performer and Event Coordinator. Global Village Multicultural Festival : Guest Performer. Australia Medical Coundil - Simulated Patient Training. : Role Player or Simulator patients. Toorak Unity Church : Guest Performer. Hampton Senior Citizens Club. : Guest Performer. Kew Community Festival : Production Creative group, Creator Director, Committee Member, Risk Management and Community Dance. Melbourne Council (City of Melbourne) Seniors Festival "Mind, Body & Soul", since 2010 : Assistant Producer. Melbourne Council (City of Melbourne) Fairies and Dragons Festival (since 2010) : Assistant Producer. Kew Community Festival "Dancing in Kew" : Parade Coordinator, Festival Directorate and Board Member. Kew Community Festival : Mentorship by Martin Foot Producer. TV series Channel 9 "Underbelly" Files: " Tell them Lucifer was here" : Party Host. Melbourne City Council : Assisting with "Fairies and Dragons" Festival and Touring Cooks’ Cottage . Melbourne University : Role Player (Simulator patients). TV Series Channel 10 "Neighbours" Fremantlemedia Australia Pty Ltd : Feature Extra. ABC TV Series, "Please Like Me" Series One Pty Ltd : Feature extra. Private Tutorial : Costumes Design. Melbourne City Council : Managing 18th Century Costumes. Film "The Cup" : Feature Extra: Club member. ABC TV Series, "Judith Lucy’s Spiritual Journey" : Family Guest. TV series Channel 9 Underbelly Files: : Feature extra. TV series Channel 7 "City Homicide" Southern Star Productions : Extra. TV Channel 10 "Offspring" series 2; Southern Star Productions : Role Midwife. Film "Don’t Be Afraid Of The Dark" : Business woman, Extra. Film "The Kings of Mykonos; Wog Boy 2" : Feature Extra. Film Construction & Progressive Direct Insure Company : TVC Feature Extra. TV series Channel 10 " Rush" Series 3, Southern Star Productions : Feature Extra. MWT Institute Event Management : 12 months Training Sections. TV Series Ch. 10 "Neighbours" FremantleMedia Australia PTY LTD : Feature Extra. Don't Be Afraid (Aust) PTY LTD : Film " Don't be afraid of the dark" Extra. Vocam Video. : Commercial "Ego Factory" Feature role. Stonnington City Band "Tsunami benefit " Malvern town Hall : Guest Performer. City of Stonnington Festival Viva : Guest Performer. Kingston Art Centre since 2000 : Concert performer. SBS Radio invited as a "Guest Speaker" : Interview. City of Casey Council : Guest Performer since 1999. Melba in Australia Centenary of Federation Concerts 2001 : Role Dame Nellie Melba Concert. Opera Australia : Don Carlos, Melbourne Autumn Season, Extra. City of Casey Event management : Training workshop. Holmesglen Institute of TAFE : Certificate Italian Advanced Beginners. Dame Joan Hammond : Private singing Lesson. Latin American Cultural Group : Teresa was invited to perform in a tour Around Australia. 2016 'Knocked Down' role Aunt. 2012 ABC Shaun Micallef’s “Mad as Hell” role " Refugees". 2012 SBS “ Please Like me” directed by Matthew Saville. 2010 TV Series "Rush" Channel 10. 2009 TV Series Ch.10 "Neighbour". 2016 Choctober (2016) Director Tim Potter. 2001 Dame Nellie Melba, Australia Centenary of Federation. 2001 Melbourne city opera "Il Trovatore"
2000 Australia "Opera Don Carlos". Born in Santiago, Chile, Teresa was a professional singer. Her musical talent is a family inheritance—her father was a professional violinist, her uncle was a composer and orchestra director, her grandfather was a professional pianist, organist, classical guitarist, and conductor. In Chile; Teresa was invited to join the International Company of Zarzuela, a well-known touring operetta company of which she later became Choir Director. Teresa travelled with the company, performing in around Latin America, as well as in her own country. She progressed from the choir to acting roles, eventually understudying the leading soprano role for Man of La Mancha. During that period, she was also commissioned for performances by the Chilean Ministry of Culture, the Verdi Lyric Union, and the Santiago Literature Circle. She performed at Expo 87, and sang regularly on radio and television. 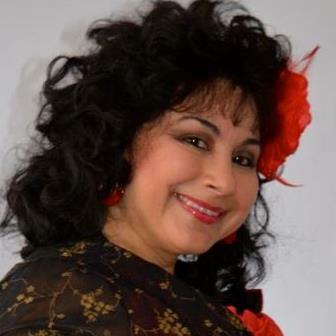 In 1988 Teresa was offered the position of Choir Instructor with the University of Bolivia. At the same time, she was also invited by a Spanish Latin American cultural group to undertake a performing tour of Australia. She chose to accept the latter invitation, immigrated permanently to Australia, and is now an Australian citizen. In Australia, Teresa undertook private singing tuition with Dame Joan Hammond until her death. She then commenced studying with Lynette Casey-Brereton, former Director of the Melba Memorial Conservatorium of Music. Teresa has also co-ordinated several events within Melbourne community sector, and has been involved in numerous festivals. Teresa was invited to perform successfully in various concerts, recitals and was commissioned to play the part of Dame Nellie Melba in the Australia Centenary of Federation Concerts in 2001. Participating in Australia Opera’s Don Carlos and the Melbourne City Opera’s Il Travatore, Teresa was invited to be a guest on the SBS radio station in 2001 and 2003. Teresa has produced concerts for the City of Stonnington. • The Santiago Literature Circle. • Sang at Expo 87. La Serena, Santiago, Chile. • TV National Channel 7 Santiago, Chile. • TV Channel 13 (Program, Giant Saturday) Santiago, Chile. •TV Channel 1 "Festival del la una" Santiago, Chile. Was invited to perform at a government sponsored event launched by the Chilean President. Invited to be a guest on the SBS radio station in 2001 and 2003. •	Teresa was invited to join the City of Glen Eira Band to perform 2015. •	Betty Day Community Centre St Kilda, 2015. •	Lynden Aged Care Camberwell 2015. •	Jewish Cultural centre and Library “kadimah” 2014 & 2015. •	Temple Beth Israel, St Kilda 2014 & 2015. •	Hampton Senior Citizens Club 2014. •	Classical residential, Brighton 2014. •	John Macrae Centre Day care for Older People (Toorak Unity Church.) 2014. •	Peppercorn Elderly Citizens Club, Hawthorn 2014. •	Mecwa Care Centre Glen Iris. 2014. •	Mecwa care Centre Prahran 2014 & 2015. •	Emmy Monash Aged Care, Caulfield North Since 2014 . •	Senior Citizens Club, Balwyn North 2014. •	Marwal Centre BASS Care, Canterbury 2013 & 2014. •	Canterbury Centre BASS Care, Canterbury 2013. • St Kilda Town Hall 1998. •	Melbourne University (Since 2011 ). •	Underbelly TVC (spoken language Italian). •	Shaun Micallef’s “Mad as Hell” 2012 ABC TVC. •	Judith Lucy’s Spiritual Journey ABC TV. • Assistant Costumes Film - 'There is no such thing as Jellyfish. • 'Runner & PA (Film Assistant Producer) (Channel 31). • Kew Festival - Parade Coordinator- Festival Directorate - Board Member. • Kew Festival "Dancing in kew" - Coordinator. • Kew Festival - Assistant Stage Manager.